Hello everyone! Remember this post on my feelings about my makeup stash/hoard? Well, it’s been a month and one of the requirements was that I update you every month on how it was going. Yes, it is an OCC Lip Tar Stained Gloss version in Rhythm Box I couldn’t resist and had to get it. 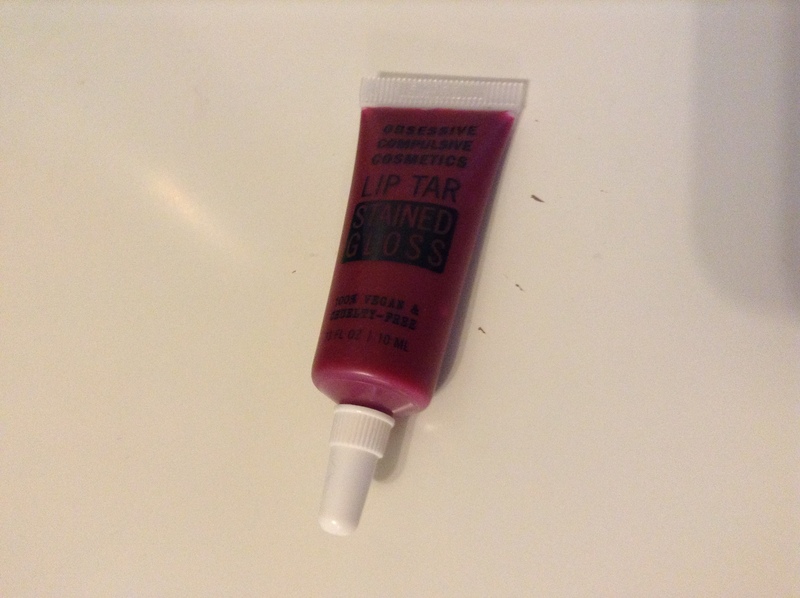 I love OCC Lip Tars and only have two (haven’t reviewed it either… I should get on that) and I thought that I would like to add this to my collection. As for using facial masks I have to say that I haven’t used anything at all… so hopefully I can get myself into a routine of actually using up the face masks on a regular basis. I have a lot of the My Beauty Diary face masks that are considered as one-time uses but I am torn about keeping the packaging to show how many of the masks that I have used up. It just seems a little unsanitary to keep the little packs around… I probably will start keeping them though just to keep track. I also started on the series of posts about my stash of products that I currently have and I am really surprised at how many products that I have in each section. So for this month (July) I plan on posting about the rest of the Face makeup products that I have then in late July/August I will start on my Lip and Eye products. The eye section will have to be definitely the most challenging one as I have a lot of singles and pigments. I think most of my makeup is eye makeup… but we will see and then after the makeup it will skincare then bath and body since they are all considered beauty items. I’m glad that I’m not someone who hoards hair products like no tomorrow but I think having that post will be good for me to ensure that the stash doesn’t grow any bigger. I hope that this post wasn’t too boring to read but for me I think it is necessary to write down how I am going to have motivation to continue on. Until next time then!